Achievement of effective and efficient governance and management is dependent on the current state of enablers within the enterprise. For this goal all seven enablers need to be assessed. One of those enablers are processes. 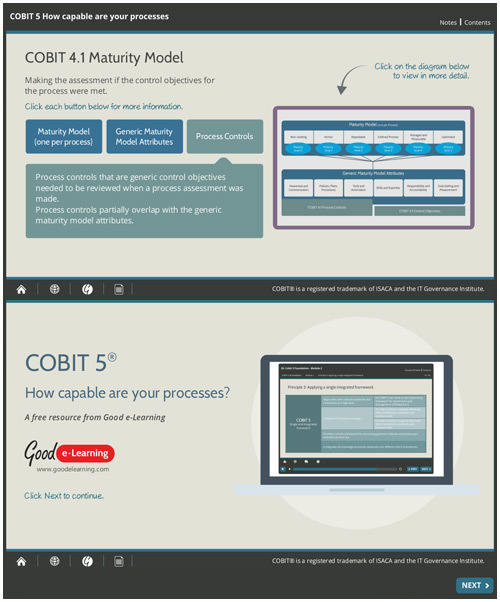 This interactive guide focuses on determining the capability of processes using COBIT 5.